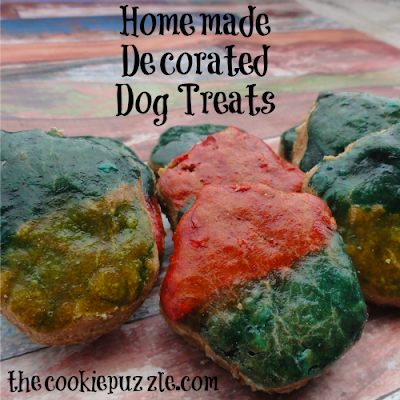 Last week I shared that I made homemade dog treats with you. Today, I wanted to show you how to kick those treats up a notch! 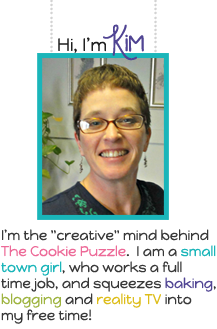 At heart, I am a cookie decorator, it is my passion, it is what I love to do. Sadly, when we started the adventure of building our home, decorating cookies got put on the back burner. Now that we are moved in and settled, with my own cookie/craft room, I might add, I am slowly getting back to doing what I love. Well, last week when I made the treats for the dogs, using cookie cutter, I wanted to "decorate" them also. Now, they are not as fancy as my normal decorated treats, but Lupin and Tyson loved them just the same. I normally decorated cookies with icing, and I am sure the boys would have loved that, but that was not really the best option for dogs. So, I did a little Internet search and found the perfect solution. My boys love eggs..so it worked out perfectly! For each color you want to make, put one egg yolk, water and food coloring in a small bowl, mix to combine. Paint this mixture onto the UNBAKED cookies, then bake as directed. Once baked, they get shiny and beautiful, or at least the boys thought they were! 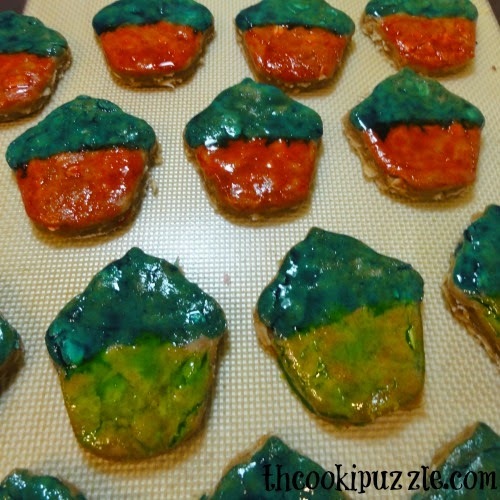 You could also use this egg paint to decorate human cookies, same recipe...and same results. Honestly, it really does not add any flavor, just a little pretty to the cookies. 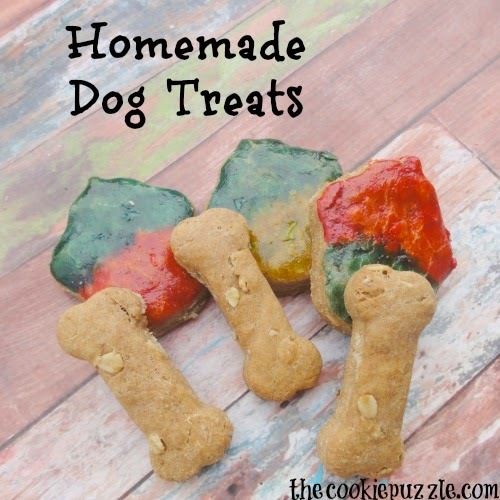 Have you made dog treats for your dogs? What recipe do you use. Do they love them more then store bought?